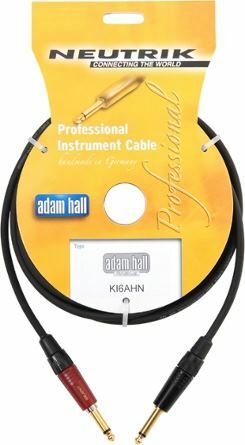 High quality "silent" guitar cable, fitted with NP2C- AU-SILENT and NP2C-AU-bAG with gold contacts. 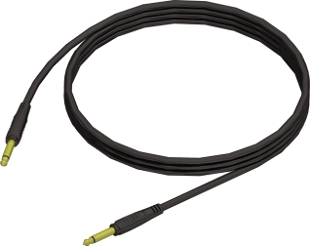 Pop-free connections possible thanks to the ground disconnection of the newly developed Neutrik Silent Plug. 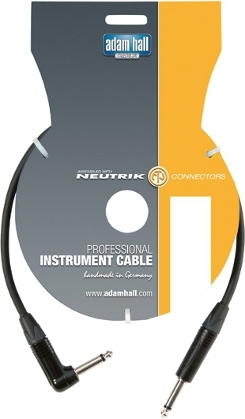 Together with our high quality flexible and robust AIL122 ultra low noise instrument cable this is an ideal combination. Made in Germany.